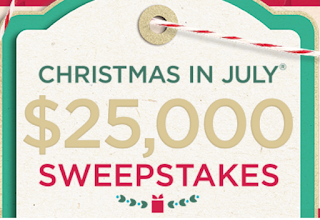 CLICK HERE to Enter the QVC Christmas in July Sweepstakes. 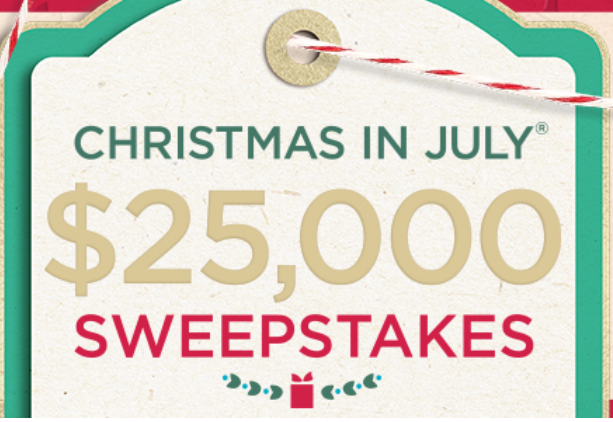 From 7/1–8/1/18, enter for a chance to win $25,000 & take a spin for a chance to win exciting prizes from some of our most popular brands! See Official Rules.